This may seem like an easy question to answer, but it’s actually more difficult than you think. Why? 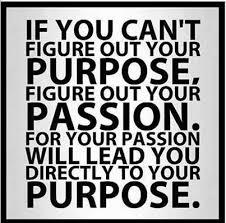 Because our minds have been conditioned over the years to believe that a passion is something that is found, not fueled. Merriam-Webster defines the word passion as a strong feeling of enthusiasm or excitement for something or about doing something. Simply put, it’s a feeling, NOT some mysterious destination that only a few people are able to achieve. The truth is that each of us possesses inherent passions, yet we tend to bury them in favor of blending in to the status quo, hoping we will someday find our true passion. I would argue that it’s already within you, waiting for the necessary fuel to bring it to life. Shortly after we had our first child (almost seven years ago), my wife (Ruth) quickly assumed the role of Super Mom. As is often the case with a lot of first-time mothers, she willingly put aside many of her personal needs so that she could be present at all times with our daughter. She knew that being a stay-at-home mom would be a short term sacrifice for a much bigger gain. Fast forward a few years and Emerson was now in pre-school, which meant Ruth actually had some “me time” on her daily agenda. I remember frequently asking her what she was going to do with this new chunk of time, and her answer was always the same, “I don’t know. I guess I need to find something.” After a while, she grew increasingly frustrated with this apparent void in her life. So, she went on an elusive search of finding a new passion. As her loving husband, I often encouraged her to try new things in an effort to help her find this passion. In retrospect, it was one of my bigger mistakes as a husband. I was a victim of the status quo I mentioned earlier. All of my suggestions were things that other moms were doing. Essentially, I was forcing her to fit in. Meanwhile, her inherent passions were begging to be unleashed. Fast forward another two or three years and our family had grown with the addition of Ivy. Super Mom was once again in full force. This time; however, Ruth was determined to end the self-sabotaging patterns that were accompanied by thoughts of “What should I do?” and commit to fueling her true passions. You see, Ruth had always had an affinity for both painting and poetry. However, in her effort to be the best mom she could possibly be, it just seemed too daunting of a task to do either of these. After all, where do you find the time? I vividly remember the day she ceased looking for a new passion and began fueling those that had been with her for years. A few weeks before Ivy’s first birthday, she decided to purchase a plain white canvas and dabble with some acrylic paints. Her ultimate goal was to create a tree with branches so that each family member present at the party could stamp their thumbprint on a branch. Each consecutive morning, I would wake up to her sitting at the kitchen table adding new, delicate details to the tree. What I began to notice more than the painting itself was the energy she now possessed. There was a vibrant, fulfilled nature to her that I hadn’t seen before. Fast forward again to today and Ruth continues to fuel her passion for painting each morning before both of the girls wake up. She has also fueled her passion for poetry and has written two children’s books, one of which is currently in the publishing process. I share this not to brag about my wife, although I am a very proud husband, but rather to illustrate the power of fueling your inherent passions. I invite you to sit down and answer this question right now. “What are you doing when you feel the most fulfilled or excited?” Maybe it’s painting or poetry like Ruth. Maybe it’s storytelling or creativity, which happen to be mine. Maybe it’s working with numbers or coding new computer programs. Society will always tell you what your passions should be, but only you can reveal what they really are. Once you have revealed your passions, start doing the things that fuel them. It really is that simple. 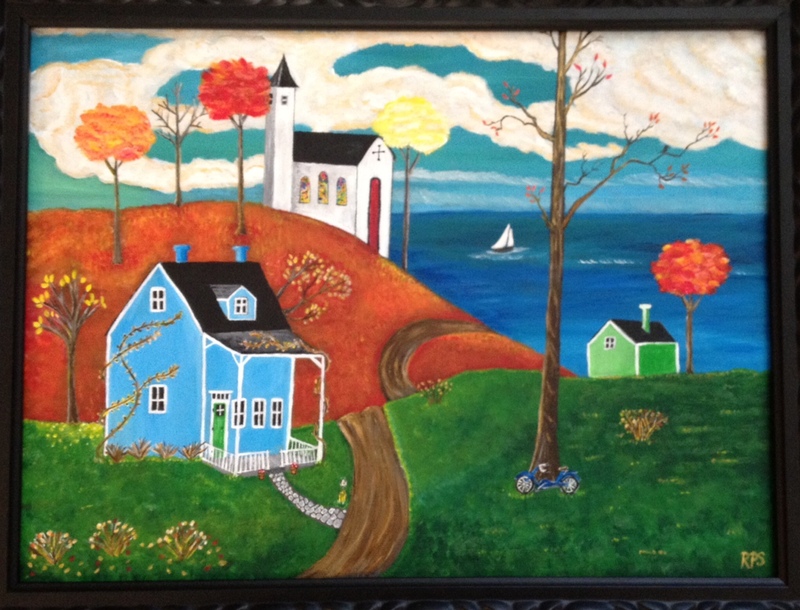 One of Ruth’s recent paintings.